Emboldened by the support it received from Western governments in return for his role in ousting Union of Islamic Courts (UIC) from power in Somalia, TPLF has now turned its attention to what it does best in the country: Murdering, injuring, incarcerating and torturing Oromo students. The latest victims, according to Human Rights Watch (HRW), are students in Ghimbi and Dambi Dollo, where four have been murdered, tens have been injured requiring hospitalization and tens have been incarcerated and tortured. What happened to Gemechu Benesa Bula and Lelsa Wagari Bula in Ghimbi (Guyii) is reminiscent of the often told stories about what KKK did to their black captives. It is said that they would take them to the forest, dare them to attempt to escape, and let them loose. While the black captives sprinted from behind one tree to another to save their lives, KKK target practiced on them. In the end, KKK killed their captives. The killings, beatings, arrests and torture in Dambi Dollo are not isolated incidents. These kinds of abuses have been and continue to be so pervasive across Oromia that I am personally afraid it will desensitize the world and the Oromo Diaspora. Whether my fear is justified or not, we have to tell the suffering of our people to whom ever is willing to listen. This is the least we can do from where we are. You may read HRW’s “Letter to Ethiopian Ministers on Human Rights Violations Against [Oromo]Students” While there, please read “World Report 2007” pertaining to Ethiopia. Scroll down to the "Continuing Abuses in the Countryside" section to findout what is happening in Oromia. The honest truth is that I am personally tired of appealing to western governments and international organizations to hold TPLF to conventions and Human Rights instruments it has agreed to uphold. Letter writing campaigns and demonstrations of the last 17 years have produced no results and there is no hope that they will in the future. What is required to help our people is to defeat TPLF. There are two ways to defeat TPLF: Peaceful means and armed struggle. Which one do you think has better chance of defeating TPLF? Do you ask yourself what you can do to help defeat TPLF? PS: I invite Obbo Nuguse Biratu and his likes to read HRW’s letter. Once finished reading, please look in the mirror and reflect on what you have done to the great Oromo nation for a few dollars. Ethiopian Millennium: Will you have any part in it? For those who are not aware, the Ethiopian empire uses the Julian calendar which divides the year in to twelve months of thirty days each and a thirteenth month of 5 or 6 days (in leap year) in length. On September 11 or 12 (I am not sure which one) of this year, true to its nature, the Ethiopian empire will enter the third millennium years after the western world and with the indisputable distinction of being the last vestige of colonial empires. Dubbed “a prison of nations,” the Ethiopian state as we know it today came into existence towards the end of 19th century as a result of colonial conquest by emperor Minilik of Abyssinia, later renamed Ethiopia in mid 1920s. This last vestige of colonial empires is in the middle of preparations to celebrate its millennium with much pomp and ceremonies unparalleled in the empire’s history. In 1972, Haile Sellassie’s 80th birthday was celebrated amidst much pomp and ceremonies. While his entourage and cronies were busy congratulating him, unbeknownst to the world and even to the other parts of the empire, a large famine was devouring Wollo. Had it not been for Jonathan Dimbleby, the world would not have known the scope of the famine and the loss of life it caused. While Haile Sellasie’s subjects were starving, Haile Sellassie, his family and their cronies were busy lining up their pockets and stashing away millions of dollars in foreign banks. As a conquered indigenous nation, the Oromo were people without land relegated to serfdom for the conquistadors. Conquered and humiliated, their language, culture, music, art and every thing Oromo was ridiculed and languished under harsh suppression. This was the state of the Oromo nation and the empire when Haile Sellasie’s 80th birthday celebration came around. Fast forward to 1984. Twelve years later, when the tyrant before this one - Mengistu Haile Mariam - celebrated his 10th anniversary of coming to power, with no less ostentatious display, another famine was ravaging the empire. Liberation struggles were raging in the east, west and north of the empire. 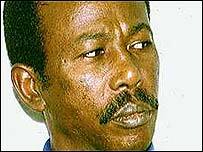 Unconcerned and oblivious to the suffering of the people, just like their predecessors, Mengistu and his officials were busy enjoying life and accumulating wealth. Not much had changed for the Oromo people. Still a conquered and humiliated nation, they continued to toil the land but only this time for a different land lord – the DERG. “Disappearance,” incarceration, murder and torture visited those who dared to speak up in defense of their people’s rights. This was the state of the empire and the Oromo people when the DERG celebrated its 10th anniversary with a great deal of fanfare. Today, another exercise in pomp and cermonies is in the making with no change in the Oromo situation. Preparation is underway for a year long celebration of the Ethiopian millennium. A millennium festival council, whose Members are hand picked TPLF cronies reporting directly to Meles Zenawi or Seyoum Mesfin, has been put together to oversee the preparation. The TPLF propaganda machine is hard at work round-the-clock trying to entice the habasha diaspora to join in the celebrations. International organizations, foreign governments, NGOs and wealthy individuals are urged to fund this extravagant celebration. As in the preceding two cases, today, the empire is awash with political conflicts. Grinding poverty has not loosened its grip on the people. Oblivious to the suffering around them, just like their counterparts in the previous regimes, TPLF officials are lining up their pockets and stashing away millions in foreign banks. They do so through EFFORT (Endowment Fund For Rehabilitation of Tigray), the vast business conglomerate, only second to Sheik Al-Amudi’s MIDROC (Mohammed International Development Research and Organization Companies) in the empire. What of the Oromo situation? The Oromo situation is no different today than it was under the previous two tyrants. Our people continue to “disappear”, be murdered and incarcerated for prolonged period of time for political reasons. Don't take my words for it; visit Oromia Support Group and other respected Human Rights advocates. Oromo children continue to grow up without fathers while their fathers are either murdered and buried 6 feet under or languishing in TPLF dungeons. Oromo resources continue to be taken advantage of to develop other regions – Tigray in this case. Will the empire ever learn from history? You think? As an Oromo national would you have any part in this millennium celebration? Would you step over the bodies of our fallen heroes and heroines for a one night high? A Traitor and a disgrace to the Great Oromo nation? Nuguse Biratu, a one time chair person of Oromo Community Associations in New York City and Washington D. C. turned TPLF mouth piece, gave an interview to a TPLF Pal Talk room. A recording of his interview can be found HERE. When I saw Nuguse Biratu’s picture on the link above, I struggled to remember if it is a familiar face to me. At first, it was not. I had heard his name mentioned in relation to the infamous “Bergen Conference” but I could not recall meeting him or having seen his face. I searched my memory for about half an hour to no avail. I had almost given up when, all of a sudden, it hit me. I have seen this face before. It was early 2000 and we had gathered together in front of the UN building in New York City to protest the burning of Oromia forests and the ever increasing human rights abuses perpetrated against the Oromo people the TPLF regime. Most of us had traveled from all over North America to be a collective voice for our voiceless people. I can still see Obbo Nuguse in my mind, in that crowd, standing three feet away to my right chanting “Meles is a fascist”,”Meles is a dictator”, “There is no peace in Ethiopia”, “There is no democracy in Ethiopia”, etc … just like the rest of us. Then my mind wondered to his recent interview with the TPLF Pal Talk room and I could not help but be filled with a feeling of stupefied astonishment. I wondered what he would have said about that protest during the interview had he been asked about it. Then it occurred to me that he claimed to have actually organized that protest in his interview which made me sick to my stomach and caused me to wonder how many of his likes are lurking amongst us today and when the next one will come out of the closet. Obbo Nuguse’s ability to change allegiances at will is astonishing to say the least. He claims to have founded ENDO (Ethiopian National Democratic Organization) with Shaleqaa Yosef (currently of Kinijit) and others. In his own words, ENDO rejected working with ethnic based organizations and those that used or advocated armed struggle as means of struggle. Then, he changes allegiance and becomes an OLF supporter – an ethnic based organization by any definition and engaged in armed struggle with the TPLF regime. He claims to have risen to a position of membership in an OLF “think tank” group. By his own admission, he organized demonstrations in the USA against the TPLF regime up until 2006. 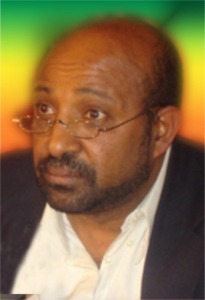 Then, with no explanation, he changes his allegiance again and becomes an EPRDF member. He travels to Mekele to attend their “6th congress.” Obbo Nuguse the man, who would have nothing to do with ethnic organizations using armed struggle as a means of struggle in 1990, turns OLF supporter and “advisor” soon after. The same man, who claims to have worked hard to help bring the plight of the Oromo people under the TPLF regime to American public attention turns TPLF’s mouth piece. He now portrays Oromo university students and school children as nothing but hooligans bent on causing chaos and havoc. He bad mouths Macha-Tullama self help association blaming them for standing up for their rights. Does this guy believe in any thing? Has he no shame? Naturally, the next question that came to my mind was “why did he do this? 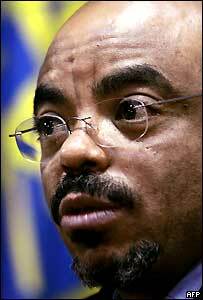 Why all this flip-flopping?” If he was exposing TPLF records to the world, as he claims he had been doing up until 2006, what changed between 2006 and now? TPLF’s human rights records have not improved but actually worsened, especially against the Oromo people. To add insult to injury, TPLF is inflicting misery, not only on Oromos in the country, but on those in exiles in Somalia as well. In a new book ("Ya Natsaannat Gohi Sii Qaddi") he wrote from Qaallitti prison, Dr. Berhanu Nega of Kinijit claims to have been forced to directly become involved in politics to save Ethiopia from disintegration. Dr. Birahuu, a Gurage national, was a one time EPRP member who joined the armed wing of the organization as a young man over two decade ago. Accused of factionalism, disillusioned by lack of democracy and sick of the centralized control leaders wielded over the organization, he left EPRP and immigrated to USA via the Sudan. While in USA, he earned his PhD in Economics and taught for a while before moving back to Finfinne. While in Finfinne, he led an ordinary life working for himself and teaching part time at Finfinne University until he was detained (at Ma’ikelaawii) for a speech he made to University students about academic freedom. It was in Ma’ikelawwii that he became friends with Professor Mesfin WoldeMariam. It was also in Ma’ikelaawwi that he came face-to-face with the sufferings and feelings of the Oromo who constituted majority of the detainees. What was the shocking encounter? Read on. What can Oromo nationals learn from this? Even the most educated habashas have to walk in our shoes before they can understand (not feel) our agony. If and when they do, and see our sufferings and pain, they are quick to accuse us of harboring “hateful feelings.” What troubles them, and calls them to action, is NOT the fact that Oromos are subjected to so much suffering and degradation by successive Ethiopian regimes. Their overriding preoccupation has always been the potential consequences of the Oromo struggle for unity and territorial integrity of the Ethiopian empire, namely the potential “disintegration of Ethiopia.” These people care more for the state than for human beings living in it. They only speak of Oromo oppression when it threatens “unity” of their empire. For a liberal democrat, which Dr. Berhanu claims to be, the paramount issue should be rights (individual and collective) NOT unity. Liberal democrats do not consider unity and territorial integrity of a state as overriding concerns over individual and collective rights of human beings living in that territory. For this “liberal democrat” however, unity comes before rights. When he speaks about lack of rights in the empire, it is not for the rights in and of themselves, but as a means of arresting their potential “negative” consequences for the system which is the root cause of lack of these rights in the first place– in this case the Ethiopian empire. No wonder “unity” comes before “democracy” in Coalition for Unity and Democracy – a coalition of habasha political parties of which Dr. Berhanu’s political party (Qasta Daammanaa) is a member. Democracy NOT for its own sake, but as a tool to maintain unity of the empire! This is a typical example of a habasha attitude. It is futile to expect them to sympathize with us let alone support the Oromo struggle for self-determination. What can you learn from this? Have your say!